This is where Guitar Aid started. 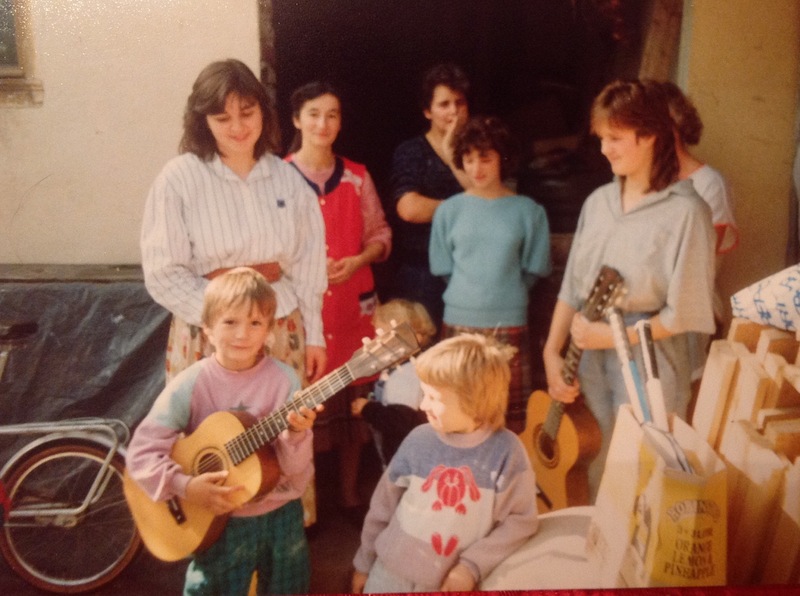 We were in Romania soon after the revolution. The tank tracks were still fresh in Timisoura square, where many died for their freedom. We took six guitars on this trip. The reaction to giving one of these guitars, birthed the vision of Guitar Aid. 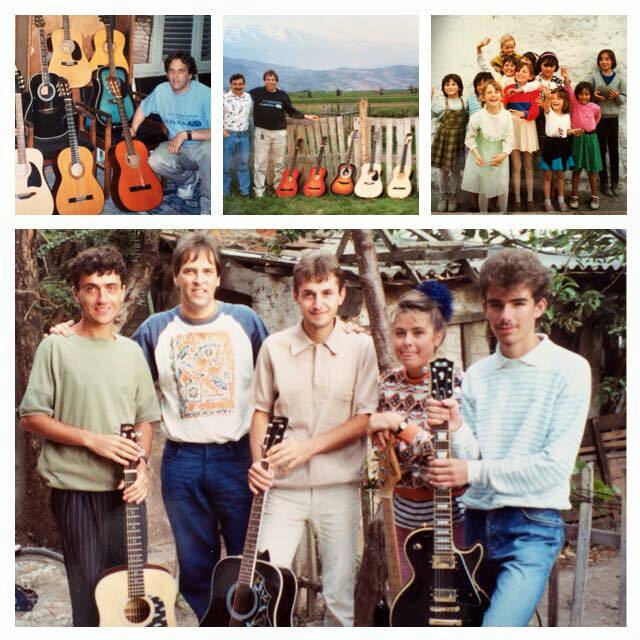 I realised, they needed more than just humanitarian aid.The gift of a guitar, would allow them to give expression to their feelings and open the door to the world of music.. It didn't take us long to realise, the need in Romania was not going away. 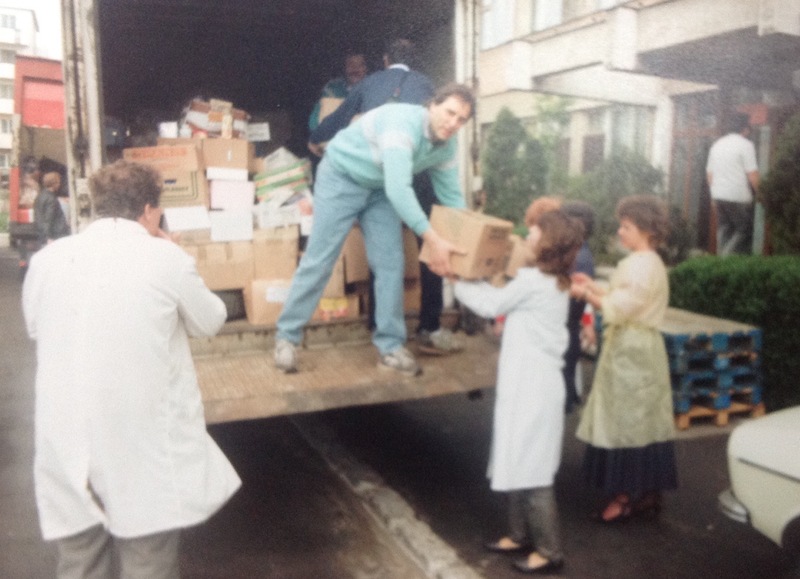 We took three lorry loads of goods to Orphanages in Arad. 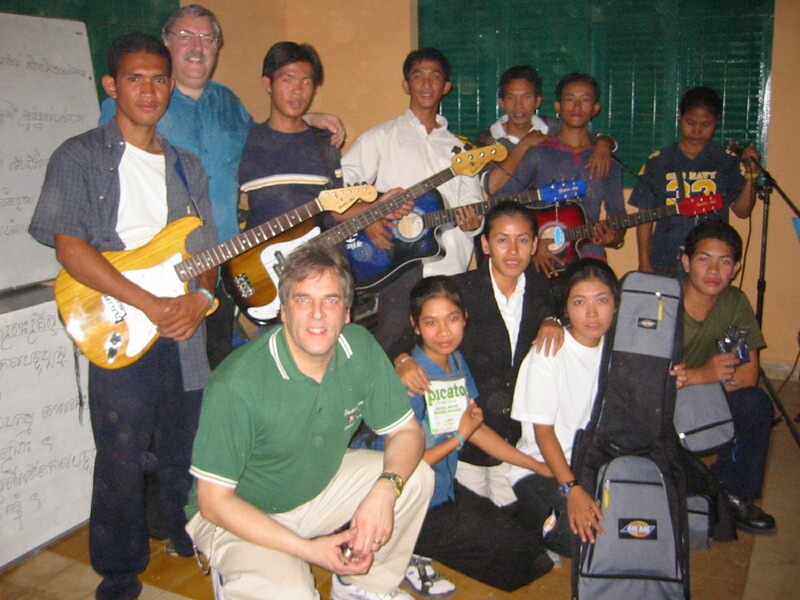 Along with the aid, we took as many guitars as we could. 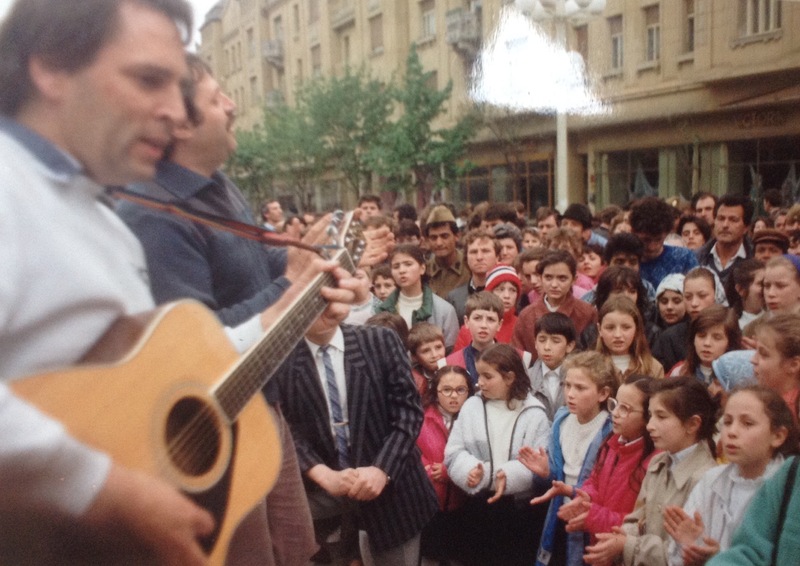 Whenever we went to Romania, the children would want to sing. What a joy to see such happiness amid bleak circumstances. We took mainly aid on this trip. These were desperate times in Romania. 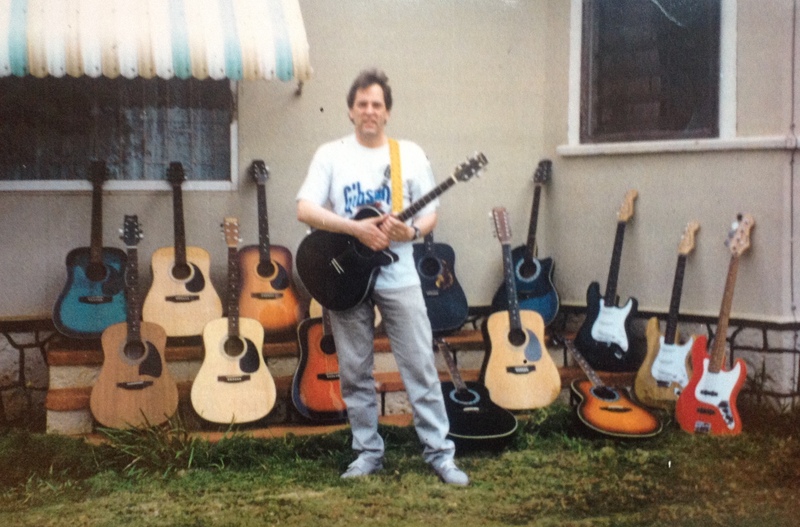 I was still keen to take guitars on the trip. 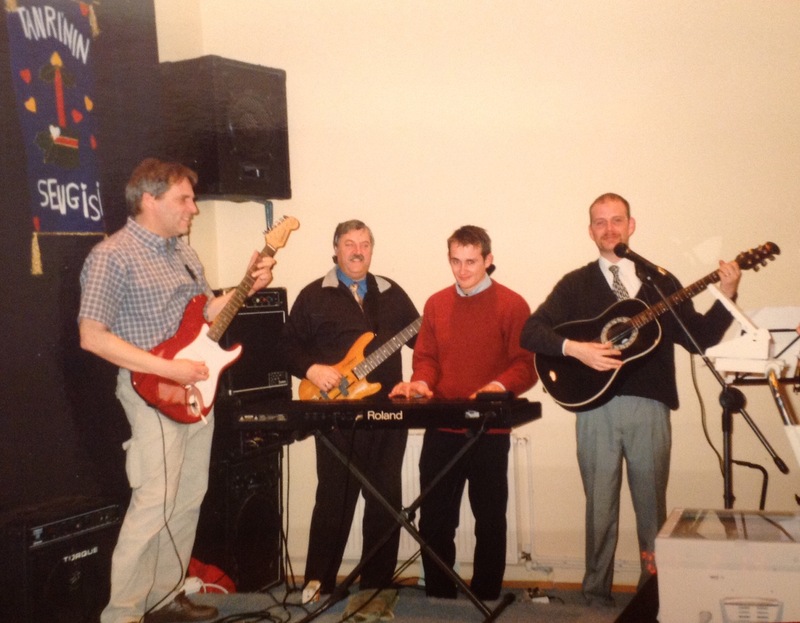 Someone made a comment, "you can't eat a guitar" to this comment I replied " You can;t play a tin of beans" . 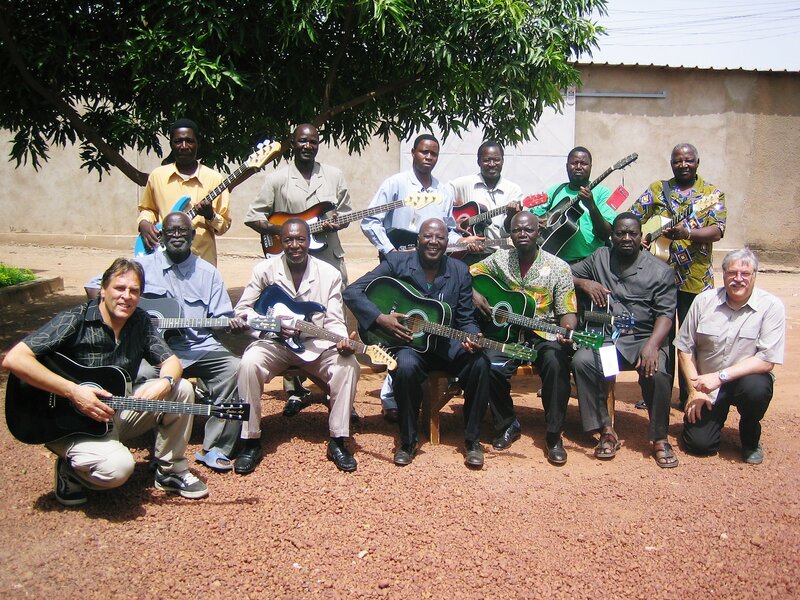 So the giving of aid and the giving of guitars worked alongside each other, both meeting different needs. 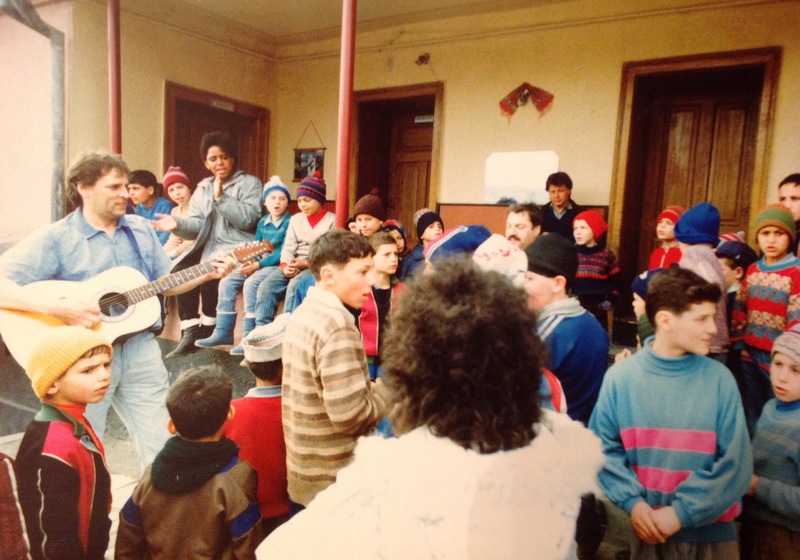 It is surprising the difference a couple of years can make.The new found freedom in Romania, could be seen on the expressions on the children's faces. The needs were still great, but their spirits had been lifted as the country was no longer under the grip of oppression. The youth culture in Albania is vibrant. Having been suppressed and restricted for many years, we can see a wind of change blowing across the land. We took as many guitars as possible. I think the number we managed to fit in the trailer was 83. Many Churches, youth groups and individuals, would benefit from these instruments. 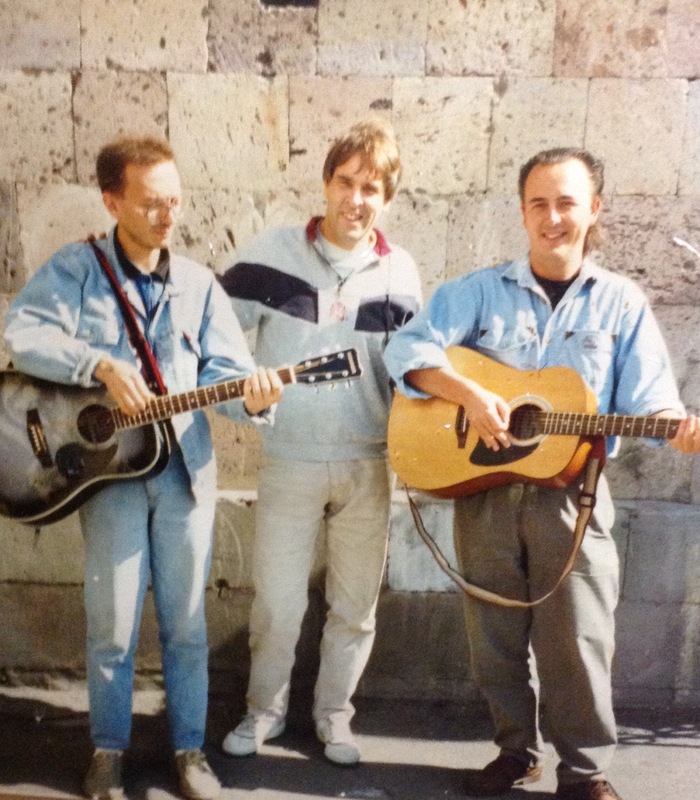 Armenia, was somewhere we had never dreamed of going, until we met up with Elam Ministries. Their description of what was going on in Armenia, left us with a real desire to go there. It felt like we were in the middle of Communist Russia. There was a war raging at this time. The situation was quite desperate. Each morning we woke to the sight of Mount Ararat. Many of the meetings were held in secret, due to fear of the secret police. Seeing them worship with our guitars was something quite special. 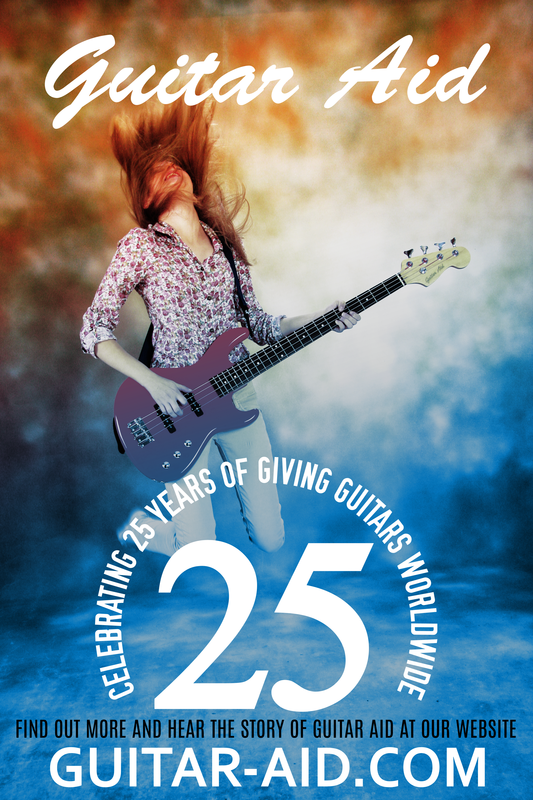 March 2015 marked the 25th Anniversary of Guitar Aid. Looking forward to another 25 years! 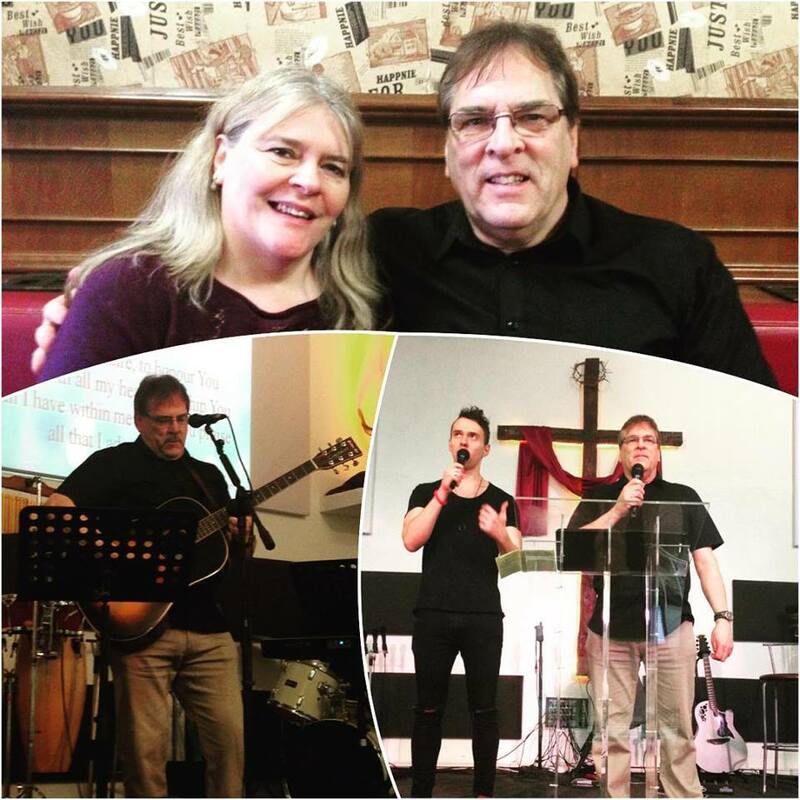 What a privilege it was, to be invited to join AoG leaders from the UK, to attend a missions conference in Egypt. 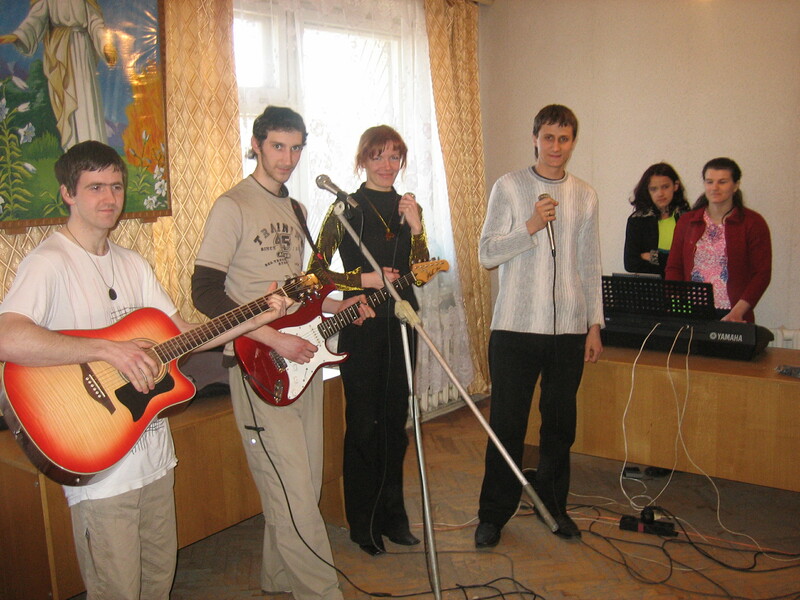 Youth for Christ Slovakia, celebrated 20 years in December 2015. We were privileged to be invited to share at the event. 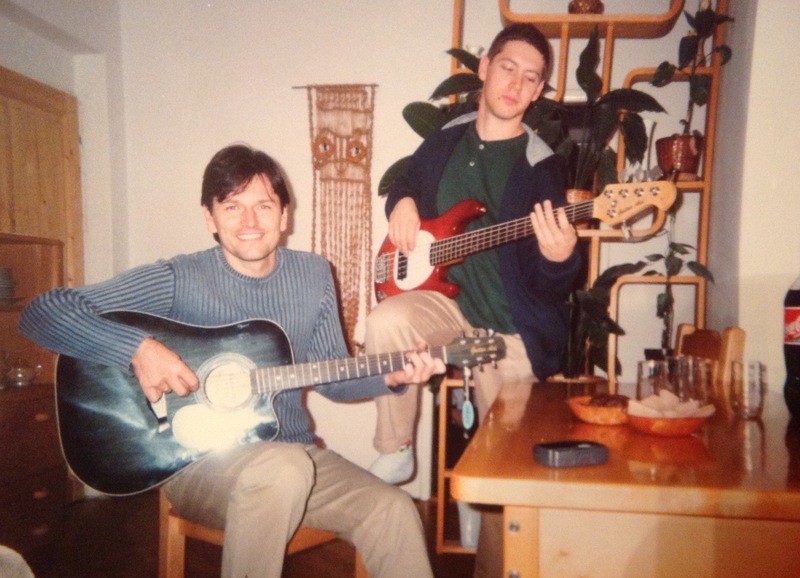 We have been going to Slovakia for 13 years. During that time, we have seen the vision of YfC grow. 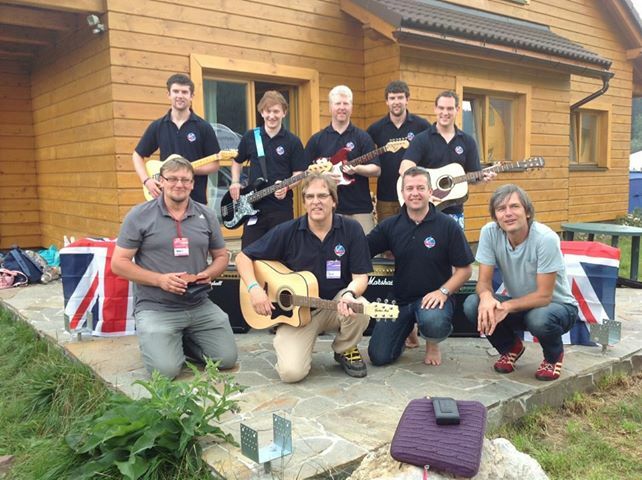 Many of the worship leaders in Slovakia have received our instruments. We are committed to continue supporting the great work going on there. At Campfest, I had the opportunity to share the vision of Guitar Aid on the mainstage. What a thrill, to be able to share to 7,000 people there. There was also an interview done for the Christian TV station. This interview can be seen on the "About Us" page. Dave, John and Terry, they called us the Three Musketeers! We travelled thousands of miles together, giving guitars wherever we went. Someone told us, we were leaving a trail behind us, like a snail does. Glad to be leaving instruments for this generation and the next. This trip to Croatia and Bosnia was a truly life changing experience. 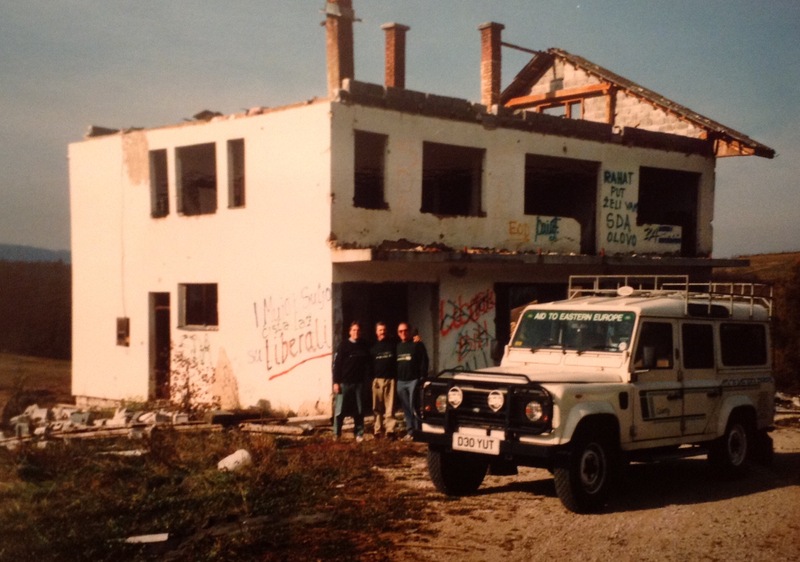 We travelled the full length of the country, starting in Osijec, Croatia, travelling through town after town and village after village, witnessing first hand, the destructive force of war. We ended up in Mostar, where we witnessed the sheer resilience of the human spirit, the sheer determination to survive whatever life throws at you. Hearing many worship in these circumstances, gave a lasting impression. Turkey left a lasting impression on us. We were humbled to witness severe persecution of the Christian Church there. Our visit happened to be, just weeks after Turkey had undergone one of the most destructive earthquakes it has ever known.Sharing with those that had lost their homes was heartbreaking. The town of Golcuk had literally fallen into the sea. Seeing the streetlights slowly disappear is a sight you don't expect to see. The needs in Africa are overwhelming. We work on the principle, that it's better to light a candle, than curse the darkness. In Kenya we experienced such warmth and love from the people. They have a unique sense of rhythm, making it easier for them to pick up playing the guitar. What a blessing, to be able to visit Jamaica and Cuba, at a time when many Christians, especially from the USA, were denied access to Cuba. 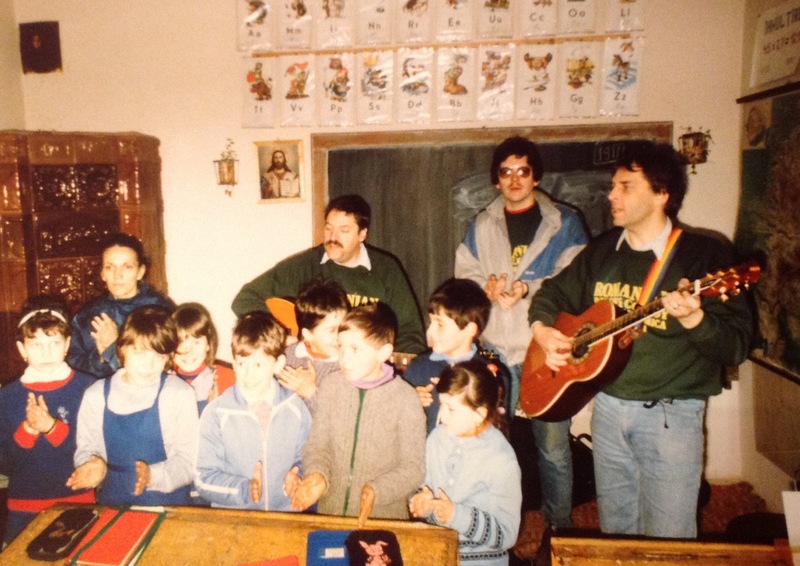 The armed border guards, eventually let us in with the guitars, on the understanding, that they were for educational purposes. Worshipping with the persecuted Christians in Cuba was amazing. It felt like the anointing was falling down like rain. Our main contact in Slovakia is Marian Lipovsky. When we first met him, he was the National Director for Youth For Christ. Every time we meet him, he is full of vision. It's an honour to know him. Cambodia won our hearts. Few places have challenged our emotions in the way that Cambodia did. At this time, the average age in the country was 25. So many young people! The desire to worship God impressed us enormously. So good to be able to give them instruments of worship. 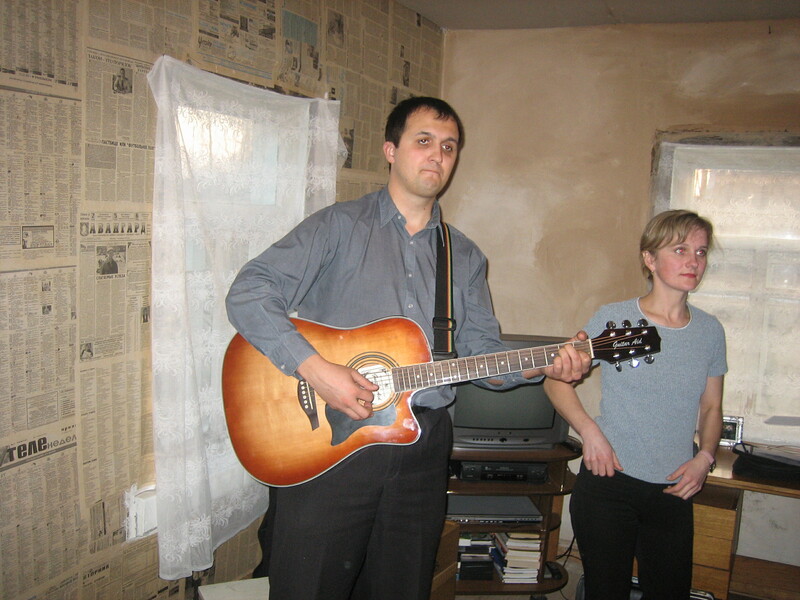 Our Pastor friend, Dima from Gomel in Belarus, was a constant source of inspiration to us during our time in Belarus. The poverty among the Gypsy community was difficult to take in. Travelling from Kiev, Ukraine, to Belarus, was a bit of a cultural shock. The area we visited had been directly effected by the Chernobyl Nuclear disaster. Many of the children were suffering from the radiation sickness and breathing difficulties, that had been passed on from one generation to the next. 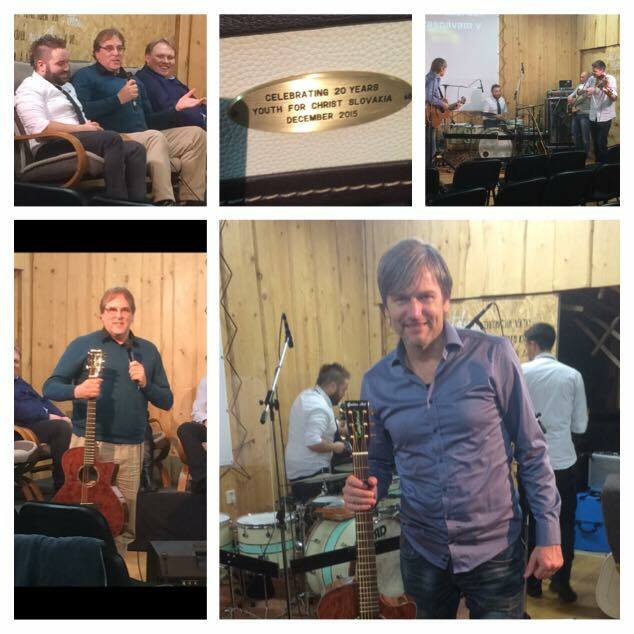 The youth teams and Churches that received instruments from us, were absolutely delighted. What a place, Burkina Faso! 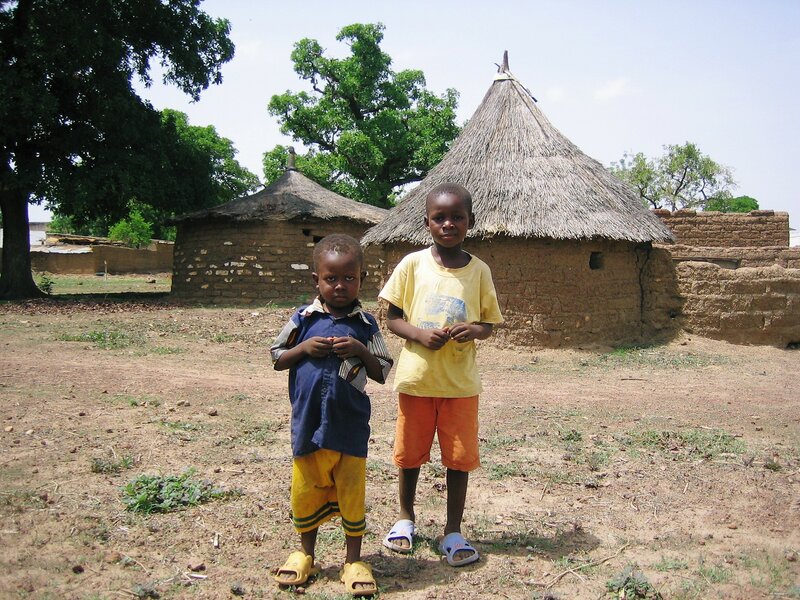 This is one of the poorest nations in Africa. 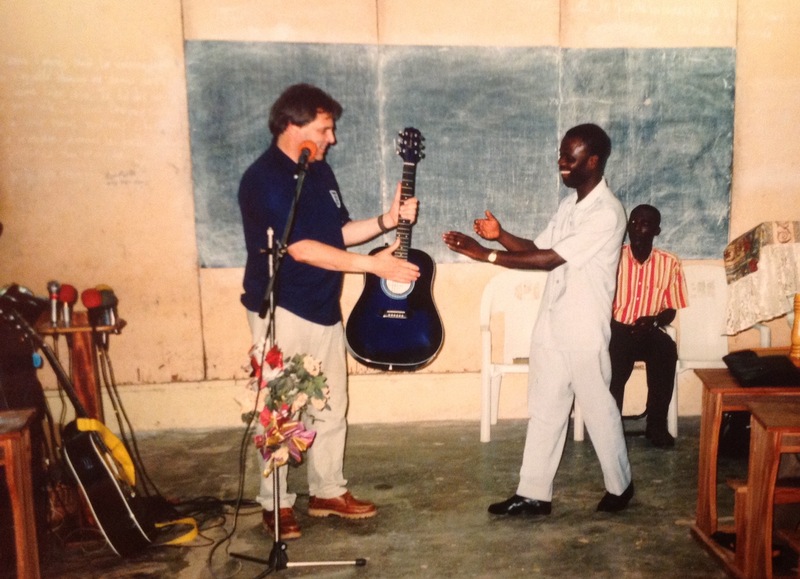 The pastors and people we met, were passionate about serving God, whatever the circumstances. Many of the people there live a very simple lifestyle. The country had recently been through a famine. The resilience of the spirit there was clearly evident. The children were surprised to see us. For some of them, it would have been the first time they saw a white man. It was so lovely to spend time with them. We took as many guitars as the airline would allow. It was great to be planting seeds of worship in this needy nation. This was our first visit to India. we spent time at Bangalore and Kolar Gold Fields, known as KGF. The welcome we received was incredible. As soon as we arrived, fresh garlands were placed around our necks. 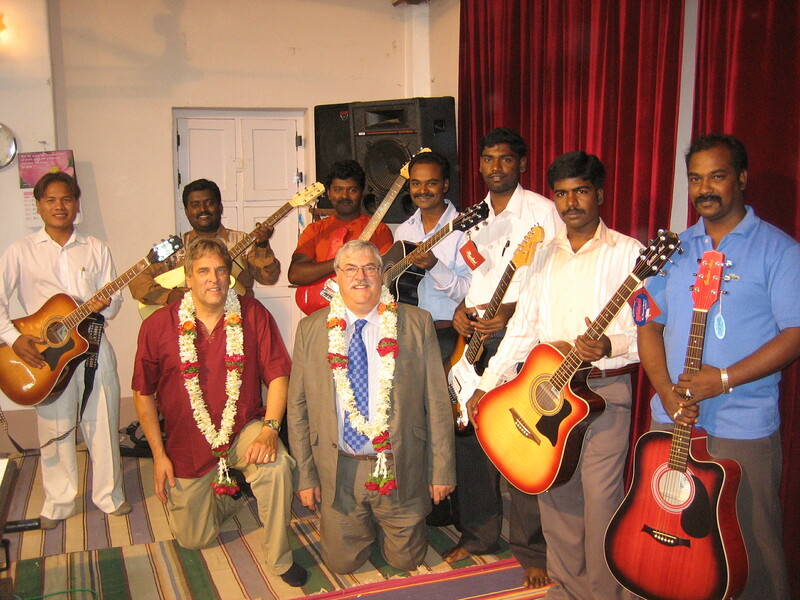 We were blessed to be able to take seven guitars with us on this trip. It was great to be able to take so many young people form my home Church, Riverside, Exeter, to Campfest. Playing in Riverside Worship Band was such a good experience. Being a small part of a massive ministry, was excellent. 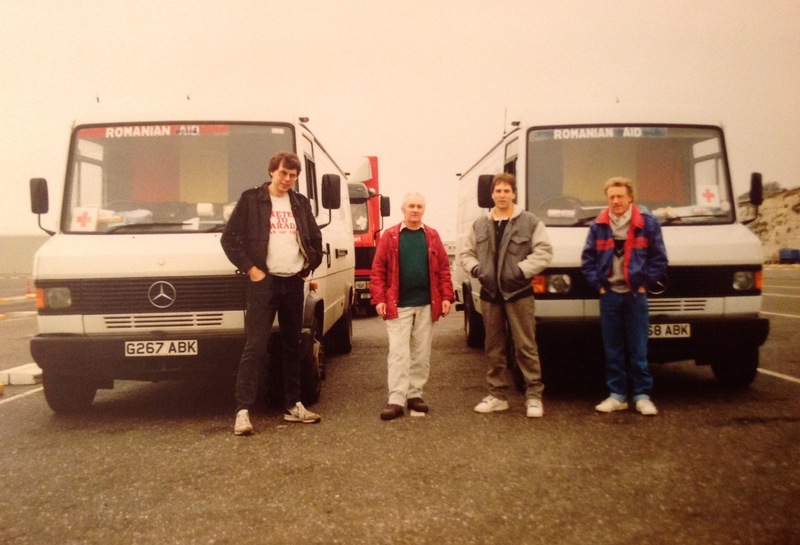 Marian Lipovsky, pictured far right, has had a vision to see Campfest grow. That vision is now reality. This was my second visit to Bulgaria. I had the privilege of taking my wife, Liz with me on this mission. We were based with Pastor Lyubo Petkov in Stara Sagora. We took 7 guitars and a PA amplifier with us. It was quite an experience to visit a Gypsy church in one of the poor neighbourhoods. My theme for the weekend was Vision & Duty. The full sermon can be seen on the "About Us" page.